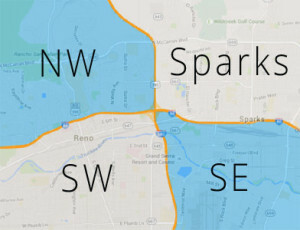 Alkaline Drinking Water and Locally Roasted Coffee delivered to your home or office in Reno, Sparks, Carson City, NV. Select your bottle size and how often you would like delivery – weekly, biweekly, triweekly, or monthly – and added services such as coffee delivery. There is a 10 gallon minimum order per delivery. Your account will be charged the day before delivery, and we’ll deliver your water in the morning the next day. Delivery schedule is based on location – see below. You may want to be present for your first delivery, especially if receiving a crock or other valuable items, but you do not need to be present for subsequent deliveries. On the morning of your regular delivery day, place your empty bottles out for pickup. We will replace them with full bottles. Be sure to regularly leave your empty bottles out so as not to get overloaded. Need to make changes to your delivery order or schedule? Just give us a call or send an email. Locally Roasted Coffee and Porcelain Crocks also available.